The four decade old giant, STANDARD continues to set standards for safe and steady distribution of power. Technical knowledge from Kasuga Electric Works of Japan and stringent quality norms with ISO 9001:2000 have made 'STANDARD a household name. The fourth largest MCB manufacturer in India, STANDARD has deployed 150 qualified engineers in its world class factories along with work force of over 500 person. 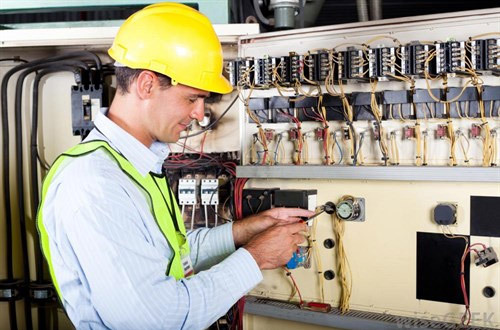 Ourrwide range of products include MCBs, ELCBs, DBs, Wires and a complete range of Industrial Switchgears including MCCBs, Fuse Switches, HRC Fuses and Changeover Switches in conformity with International standards under stringent quality controls. The Select range is available with CSA/KEMA approvals / CE marking. Manufacturing units have complete in-house facilities equipped with state of the art machines for conducting short circuit tests upto 10 KA/25KA besides other electrical and mechanical tests. This is a feature, which has established Standard reputation as a user of cutting edge technology and a provider of path breaking solutions.